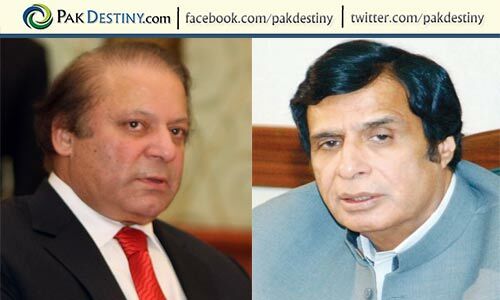 Islamabad, Aug 28 (http://www.pakdestiny.com) Giving another 22-day lease of life to Prime Minister Raja Pervez Asharf has even irked PML-N president Nawaz Sharif who was expecting that the Supreme Court would not waste further time in sending Raja home. But oops this was not the outcome what Sharif was told by his ‘friends’ in Iftikhar-led judiciary. “Perhaps Sharif was expecting too much ignoring the fact that the judges feel on top of the world when a premier appears before their court – hazir hun janab -” Sharif must not forget this ‘Mughal feeling’. After all he too is aspiring to be a Mughal King. So what if we are going to have ‘Mughal judges’. The court directed the prime minister to appear again before the court on September 18, 2012. The five-member bench headed by Justice Asif Khosa said PM Raja did not have to write the letter himself. He could nominate someone else to write it. “I will make a sincere effort to solve this issue in a way that the dignity and honour of the Supreme Court will be maintained,” the PM said. The court appreciated the prime minister’s appearance and said he was appearing as the premier and not as an accused as no charges had been framed against him. The court, however, expressed its reservations over what it called anti-judiciary propaganda being carried out by some in the ranks of the Pakistan People’s Party. chief justice did the right thing. how long this cat and mouse game will continue? 1. Brigadier MOHAMMAD ABBAS BAIG from 1933 to 1963 He was one of the pioneering military officers of the Pakistan Army who was dubbed “Baba-e-Artillery” (father of the Artillery) for his role in establishing this core section of Pakistani army The newly established Pakistan Army rapidly developed into an efficient force and it was primarily due to the dedication and hard work of officers such as Mirza Abbas Baig. He became the first Muslim commander of number three self-propelled medium regiment and the first commandant of the Artillery centre in Attock in 1952. Amongst his early achievements were the raising of first artillery division and number one Artillery Corps and played a central role in establishing artillery corps to form the backbone of the army. Abbas Baig’s father, Mirza Azam Baig, was a prominent soldier who had fought in the European theatre for the British army during the Great War (1914–1918). He survived a German gas attack and went on to serve in the personal bodyguard regiment of the emperor of Persia. 2. Chief of Naval Staff of Pakistan Navy from 1999 to 2002, ADMIRAL ABDUL AZIZ MIRZA is a retired four-star rank admiral served commanded Pakistan Navy during the Indo-Pakistani standoff in 2001. 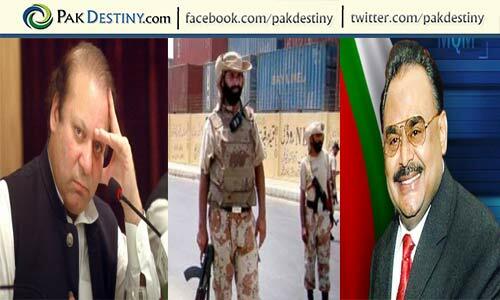 He comes from a family of military service men who had served in the British Army before the creation of Pakistan. he was nominated and appointed as Pakistan Ambassador to Saudi Arabia in 2002 until 2005. Admiral Mirza is given credit for commissioning the country’s first ingeniously and locally built long-range submarine, the Agosta 90B submarine in 1999. 4. Lt General KHALID LATIF MUGHAL, May 1992 – October 1995 The I Corps, also known as I Strike Corps, of the Pakistan Army headquartered in Mangla, Azad Kashimir Territory of Pakistan. Known as I Strike Corps, it is one of two strike corps within its ten manouvre Army corps. The I Strike Corps is one of the oldest and major formations of Pakistan Army, and a major component of Northern Military Command of Pakistan Defence Forces. Active in Indo-Pakistan wars, the I Strike Corps subordinated administrative units played an integral role in Kargil war, and also served in current War in North-West Pakistan. Its Corps-Commander, Lieutenant-General Tariq Khan, is internationally known and distinguished for his leadership abilities in War in North-West Pakistan. 6. MAJOR UMAR BAIG MIRZA AND LIEUTENANT COLONEL AMER BAIG, brothers of the current Commandant ‘Command and Staff College’, Quetta MAJOR GENERAL SHAHID BAIG MIRZA. All three brothers were commissioned in 11 Punjab Regiment; a Battalion that their proud father, LIEUTENANT COLONEL (RETD) MIRZA ABDUL HAQ MUGHAL was also part of. “Both of my martyred sons and my eldest son Shahid were passionate about joining the army and wanted to follow their father. He was one of the prisoners of 1971 war and young Amer used to say that he would join the army to take his father’s revenge from Indira Gandhi,” tells the proud mother Zaib-un-Nisa. 7. Captain Mirza Fawad Amin Baig, the Naval Attaché. A senior officer of Pakistan Navy will address an international symposium being organised in connection with the PLA Navy celebrations. Over 15 countries have pledged to send ships to the east port city of Qingdao as part of the celebrations and at least 28 foreign countries will send delegations, said the officer with the Chinese Navy’s headquarters the parade will be staged off Qingdao, the Navy’s North Sea Fleet’s headquarters in Shandong Province. 8. Miss Sharista Baig, daughter of Col.Mahmud Baig is the first GD fighter pilot from Gilgit Baltistan. She belongs to Karimabad Hunza. 9. MIRZA MUHAMMAD ARSLAN AZAM Successfully defended Super-Heavyweight title by winning a Gold Medal at All Pakistan’s Intervarsity Boxing Championship 2014-15. Broke all the previous records of this prestigious tournament by lifting up the boxing trophy after nearly 35 years of PU boxing. 10. Lieutenant-General MUSHTAQ AHMAD BAIG (1951 – 25 February 2008) was the Surgeon General of the Pakistani Army who was killed in a suicide-bomb attack on 25 February 2008. An ophthalmologist by profession, Beg is the most senior Army officer to be targeted and killed since Pakistan’s involvement in the War on Terror and the North West-Pakistan Conflict. Command (Comd AAD Comd), Rawalpindi. Due to retire on 20 December 2017. 14. ASIM MUGHAL Pride of Pakistan a young Pakistani Engineer who designed and build NASA Cassini mission the USA information service said Asim Mughal was one of the professional who desgined and build Cassini mission at Jet propulsion laboratory of NASA. is being the part of the team that designed $3.4 Billion Space Craft ” Cassini”. This young engineer is no other than Asim Mughal in USA who have made all Pakistanis proud of their native Pakistan. The idea was innovated and initiated by Abdur Rehman, a 2nd year automotive engineering student of NED. After his tragic and untimely death, the project fell into the hands of Babar Mughal Team leader, who; dubbed as the greatest motivating leader of all by the team, steered the team to the completion and launching of the car. The team comprised of 15 automotive engr. students and one electronics engr. student. 17. SHAHEEN BAIG He is Pakistan’s renowned climber Shaheen Baig has reached the base camp of MT Ama Dablam (6864m) with his Italian companion Elena. He is the first Pakistani who will attempt a mountain in Nepal in autumn season.